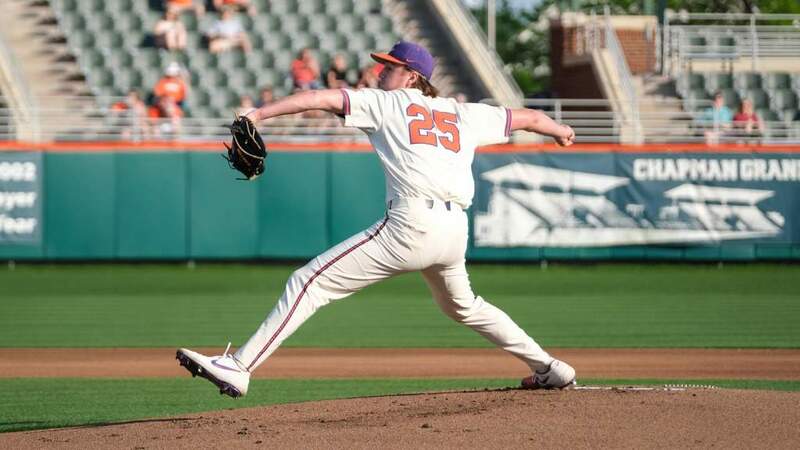 When Clemson’s baseball team reached the Final Four of the 2010 College World Series, it concluded one of the great all-around sports years in school history. In addition to a #4 final ranking in baseball, the Tigers ranked in the top 25 in the nation in football after a bowl victory against Kentucky, and won the Atlantic Division of the Atlantic Coast Conference for the first time. The men’s basketball team recorded a fourth straight 20-win season, including a victory over National Finalist Butler, and reached the NCAA Men’s Basketball Tournament for a record tying third straight year. Clemson was one of just eight schools nationally to go to a bowl game, the NCAA Men’s Basketball Tournament and the NCAA Baseball Tournament. 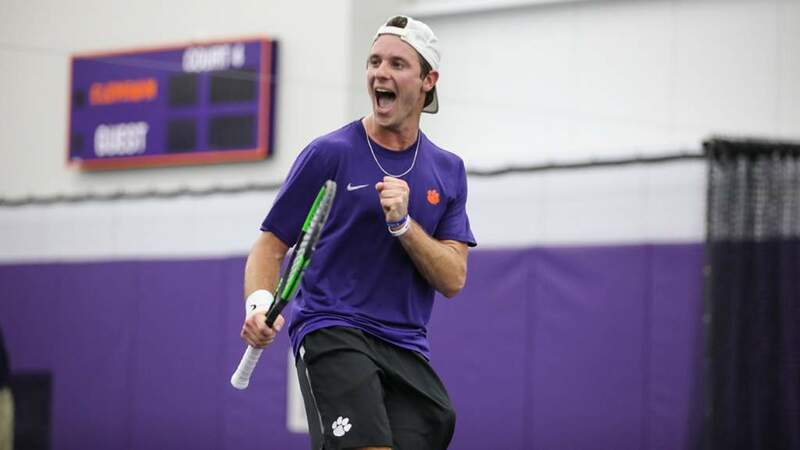 It was the second straight year Clemson accomplished the “high profile sports triple.” Clemson joins Florida State, Minnesota and Texas as the only four schools to do it in consecutive years. Reaching a high level of success in the high profile sports is a credit to the administrative acumen of Clemson Athletic Director Dr. Terry Don Phillips. Now in his ninth year leading the Clemson program, Phillips has enhanced the Tigers program on many levels. In addition to the success of the high profile sports in 2009-10, the Clemson women’s track program won the ACC Championship in both indoor and outdoor track, a first for the program, and finished in the top 20 in the nation at both national meets. The rowing program had its second consecutive top 15 finish, and the volleyball team made its third consecutive NCAA appearance. Overall, seven different Clemson teams finished in the top 25 in the nation. Individually, running back C.J. Spiller finished sixth in the Heisman Trophy voting and was the ninth selection of the NFL draft by Buffalo. Power forward Trevor Booker was a first-round draft choice of the Washington Wizards and two sport athlete Kyle Parker was a first-round selection of the Colorado Rockies on the baseball diamond. Only Clemson and Georgia Tech had first round selections in all three sports during 2010. Parker became the first athlete in Division I history to throw 20 touchdown passes on the gridiron and hit 20 home runs on the baseball diamond in the same academic year. 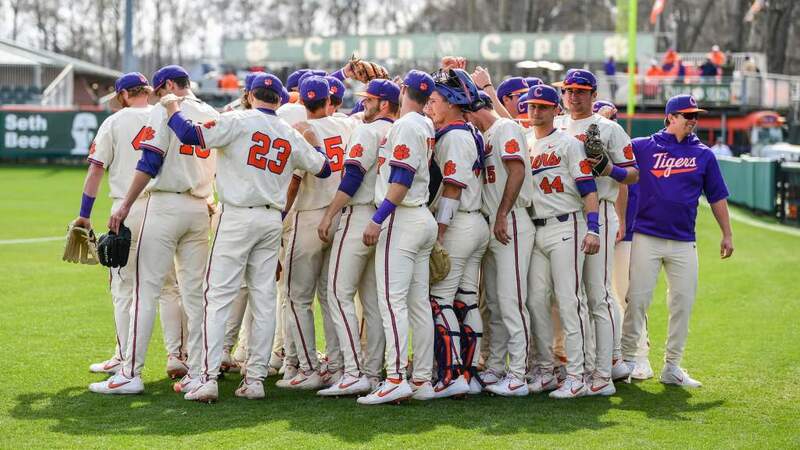 In his eight years at Clemson, the program has had 46 teams finish the season in the top 25. Five different women’s sports have captured ACC championships during his tenure. Only Virginia has had a wider variety of women’s sports win league titles. One of the reasons for Clemson’s level of success as a total sports program has been his emphasis on improving facilities. On June 30, 2009, Clemson’s football staff moved into the West Endzone at Memorial Stadium. It was a day that brought a smile to everyone associated with the Clemson program, but especially Phillips, who had been working toward that day before he arrived on campus in 2002. Phillips’ vision for the West Endzone was to create a top-of-the-line facility for the football program, but at the same time have a positive effect on the total sports program. The facility at Memorial Stadium now creates more office space, new locker rooms, and training room and strength training facilities for the Olympic sports programs. Clemson recently completed a new boat house for the rowing program, one of the top facilities in the nation, added the new multi-million-dollar Chapman Grandstands at Doug Kingsmore Stadium and a new Clubhouse area at the Hoke Sloan Tennis Facility. 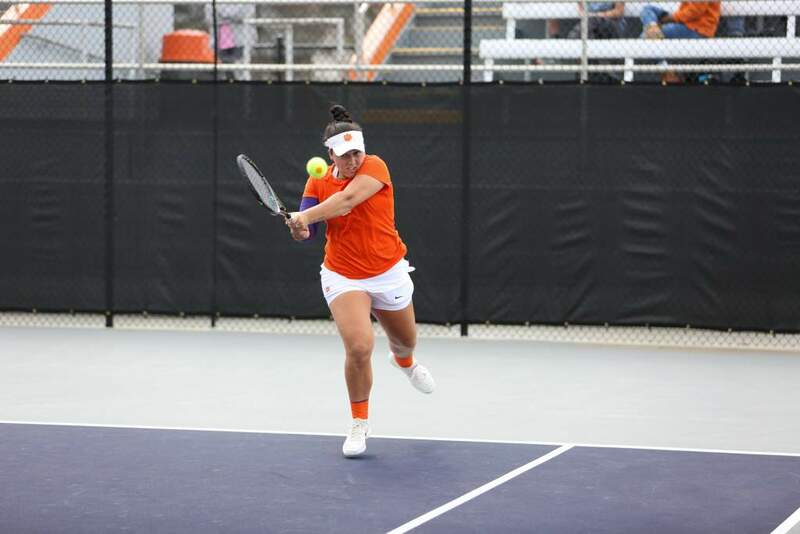 Other improvements in the last three years have included a new practice facility for the Clemson golf program, and a new press box at the Riggs Field soccer stadium. Plans are in the works for the construction of the Penley Golf Building, a new baseball locker room, and a significant enhancement to Riggs Field. Academically, 17 of the 19 programs were above the national average for public institutions in terms of APR scores. In the 2010 spring semester, over 50 percent of Clemson’s student-athletes were on the academic honor roll and seven of the 15 programs had team GPAs of at least 3.0 and the overall GPA was 2.92 for the semester, third highest on record. Phillips’ athletic career and academic pursuits epitomize that desire. Believed to be the only Division I athletic director with both a doctorate and law degree, he uniquely blends the discipline and inspiration created on each side of campus. He has firmly put his imprint on the University and Tiger athletics by creating a balanced, positive environment for success that emphasizes academic integrity, student-athlete welfare, and competing at the highest levels with unequivocal NCAA compliance. Phillips was also recognized nationally for his performance at Clemson in June of 2006 when he was honored by NACDA (National Association of Collegiate Directors of Athletics) as the 2005-06 GeneralSports Turf Systems Athletic Director-of-the-Year for the Southeast Region of the FBS. He was one of just four FBS athletic directors honored at the annual convention in New Orleans, LA. Excellence in academics has been a lifelong pursuit. He has an undergraduate degree from Arkansas (1970), a master’s degree from Virginia Tech (1974), a doctorate degree from Virginia Tech (1978), and a law degree from the University of Arkansas School of Law (1996). He is a member of the Arkansas Bar, the South Carolina Bar, American Bar Association, and Sports Lawyers Association. Phillips maintains a classroom presence by teaching a sports law section in Clemson’s Accountancy & Legal Studies department. In addition, he is past chair of the NCAA Division I Infractions Appeals Committee, and continues to serve the committee as requested. Prior to coming to Clemson, Phillips served as athletic director at Oklahoma State. Football was transformed from a perennial losing status to very competitive, enjoying a return to bowl games after several years and establishing a winning record against instate rival Oklahoma. For this, he received the National Football Foundation Oklahoma Chapter Outstanding Contribution to Amateur Football Award in 2002. Additionally in 2006, he was named one of the top-25 most influential people in the history of Oklahoma State Athletics by GoPokes Magazine. This recognition reflected the substantial success of the all-sports program and the momentous facility development under his leadership. Before leading Oklahoma State, Phillips served as senior associate athletic director at Arkansas from 1988-94. He also served as athletic director at Liberty (1980-81) and Louisiana-Lafayette (1983-88). He was an assistant athletic director at Missouri (1981-83) and began his administrative career in 1979 as an assistant athletic director at Florida. Phillips began his career in college athletics coaching football. He started as a graduate assistant at Arkansas in 1970 and 1971. He moved on to Virginia Tech as an assistant coach (1971-78) before joining the ranks of athletic administration. At Virginia Tech, he served on coaching staffs that included future Clemson Head Coaches Charley Pell and Danny Ford. Winning has been on Phillips’ résumé since his playing days at Arkansas. He lettered on three Frank Broyles teams, where he and his brother Loyd, an Outland Trophy winner, were starting defensive tackles, the first brother combination to start together under Broyles. Arkansas had a 27-5 record in the three years, played in two Sugar Bowl games, and played in the memorable 1969 National Championship game against Texas — a game that continues to be featured on ESPN Classics. In June of 2010, it was announced that Phillips would be inducted this fall into the University of Arkansas Hall of Honor. Phillips has two children, John Dennis and Sarah-Jane, and three stepchildren, Meagan, a senior at Clemson and proud member of Tiger Band, Marshall, and Madison. His wife Tricia is a graduate of the University of Missouri School of Journalism and earlier enjoyed a career in athletics and development. She is now active in the Clemson and Seneca communities.